Get the performance you deserve at an affordable price. The Tactic 400 is a great full-size 2-up ATV providing a smooth and unmatched all-terrain experience. The Independent Dual A-Arm Shocks provide consistent performance throughout your ride for a more responsive handling experience. 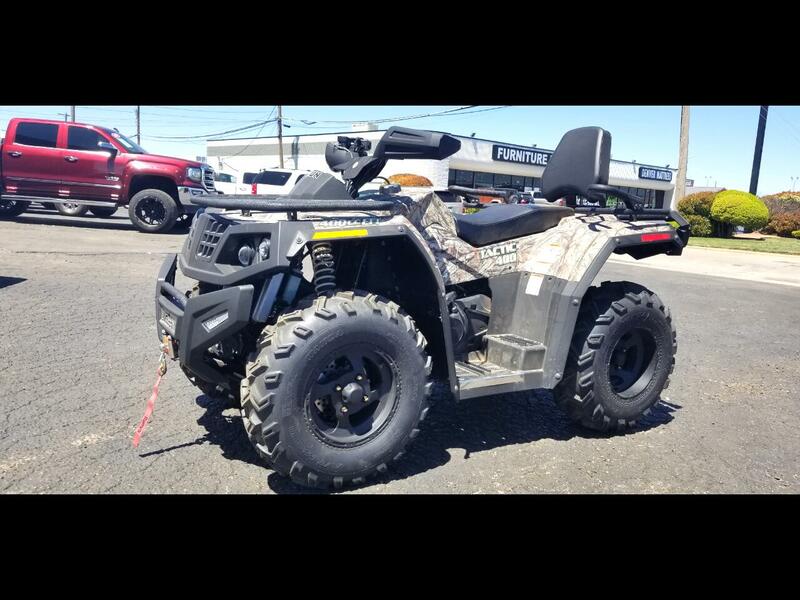 Overall Vehicle (L x W x H): 82.5" x 46" x 42"
Message: Thought you might be interested in this 2018 HiSun Tactic 400 2-Up.